Aging beer is a time honored method of increasing complexity and depth of flavors. our stasis project celebrates the barrel as a fifth ingredient. 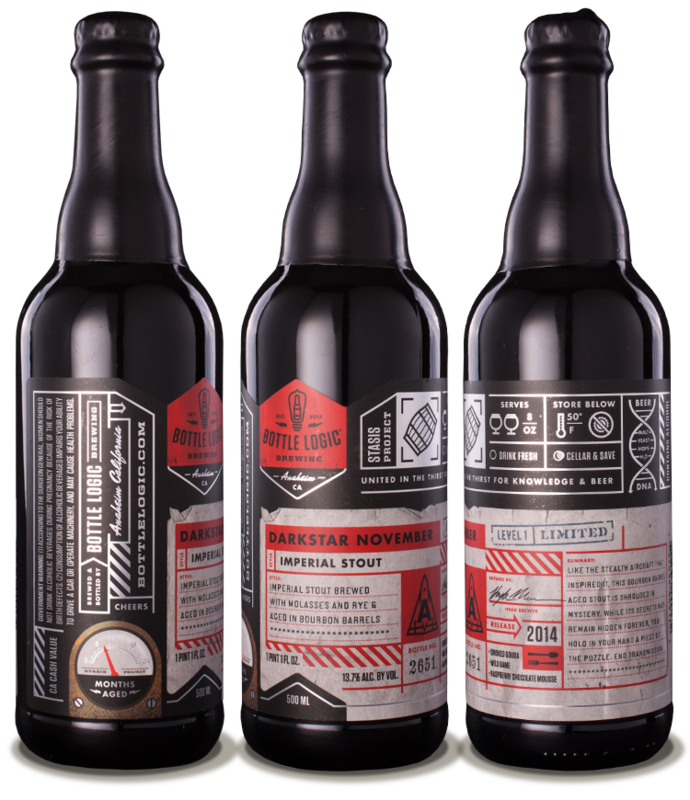 Like the Stealth aircraft that inspired it, this bourbon barrel aged stout is shrouded in mystery. While its secrets may remain hidden forever, you hold in your hand a piece of the puzzle. Pairs well with smoked gouda, wild game and raspberry chocolate mousse. bourbon barrels, and blended with Madagascar vanilla beans. Sit back, relax, and observe the world around you. Premium Bourbon Barrels BITTERNESS: caramel flan.